Child seat safety laws are in place to keep children safe while riding in a car. Different seats are available according to their height and weight. According to the American Association of Pediatrics (AAP), children under the age of 13 should always ride in the backseat of the car, in a car safety seat appropriate for their height, weight, and age. Rear-facing child safety seats. These seats are designed for use from newborns up to a maximum weight designated on the seat, typically from 22 to 45 pounds. They can be for vehicle-only use or they may be part of a stroller system that secures into a vehicle-mounted base. Front-facing child safety seats. Front-facing seats are for children that have outgrown the requirements for their rear-facing seat. There are a wide range of weight allowances depending on the style and manufacturer. Generally, children should use a front-facing child safety seat until at least 4 years of age. Booster seats. For children who have outgrown a front-facing child safety seat, a booster seat is recommended until they’ve grown to 4 feet 9 inches in height and between 8 and 12 years of age. Knowing where the child safety seat should be installed is another important part of the puzzle. It is widely recommended that children should always be safely buckled into the backseat in their child safety seat. However, what is the best location for the child seat to be installed? Aside from placement, choosing the right car seat and knowing the child seat safety laws in your state are important to know. 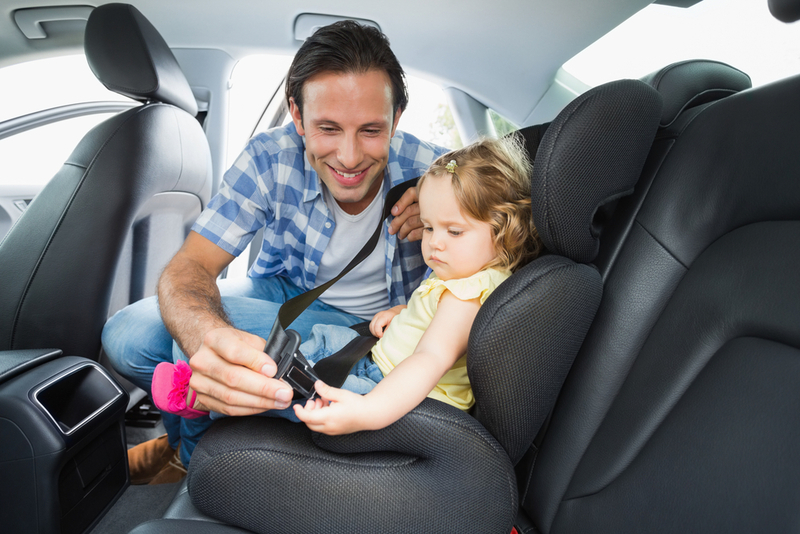 Bookmark this page and refer to it when you are traveling to a different state and when your child has graduated to another type of child seat. Q: How do I install the top tether for a forward-facing car seat?